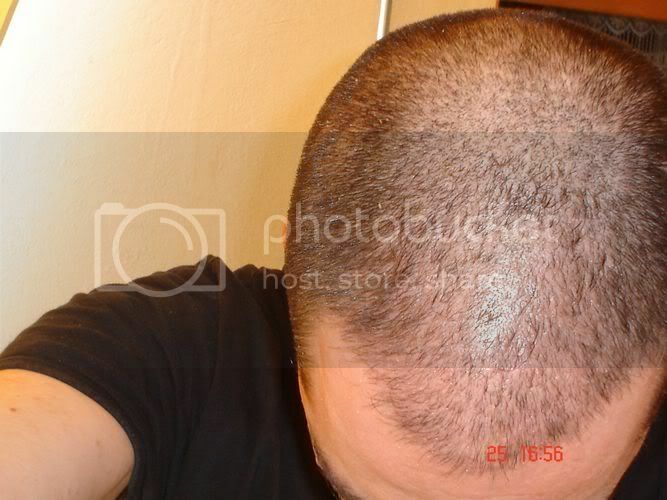 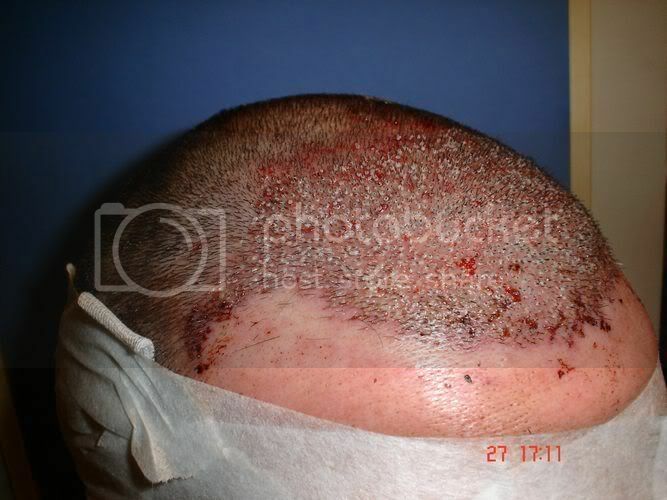 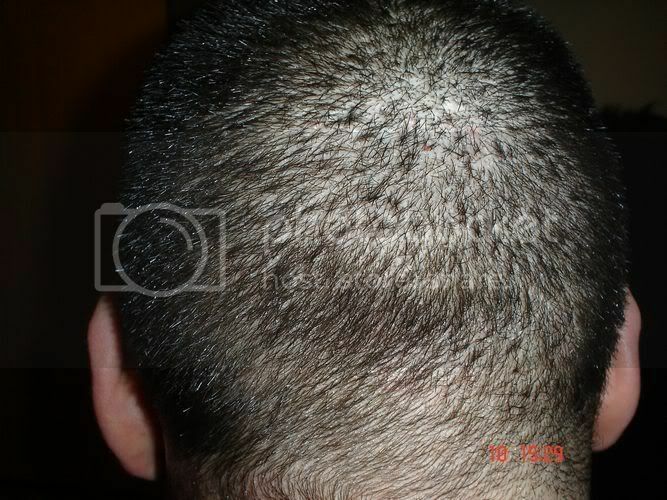 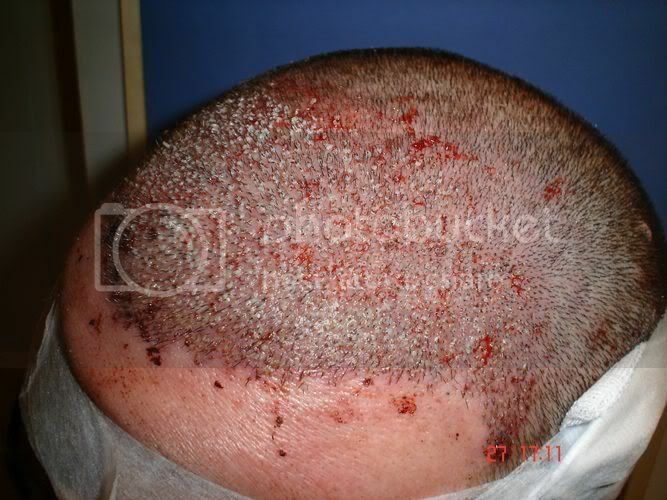 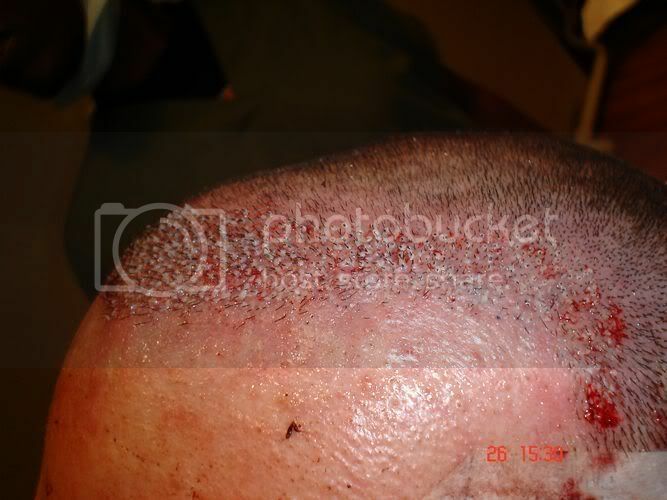 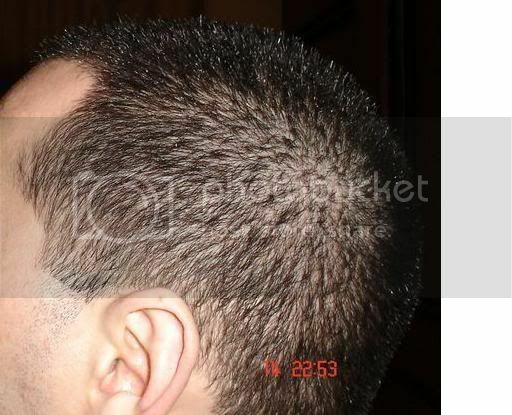 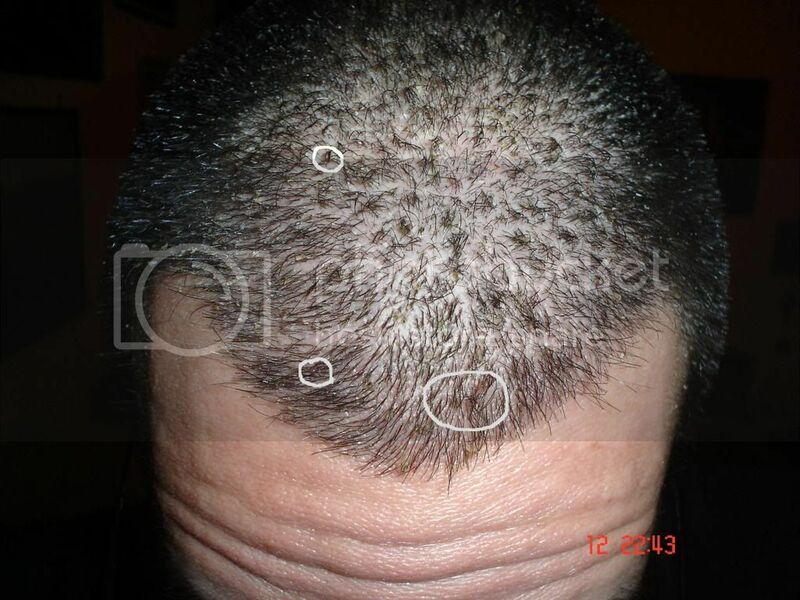 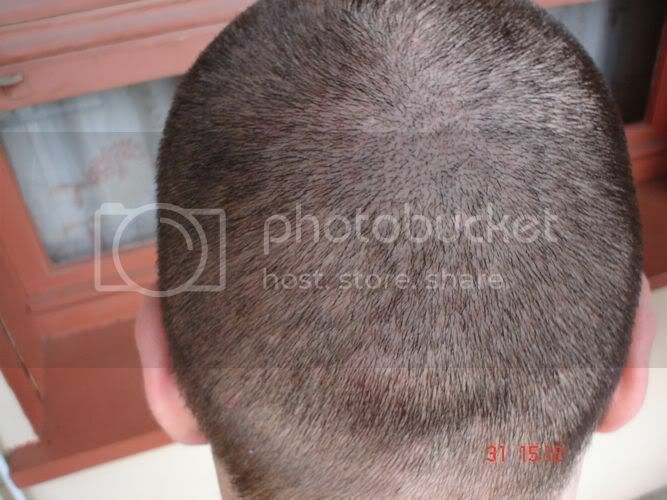 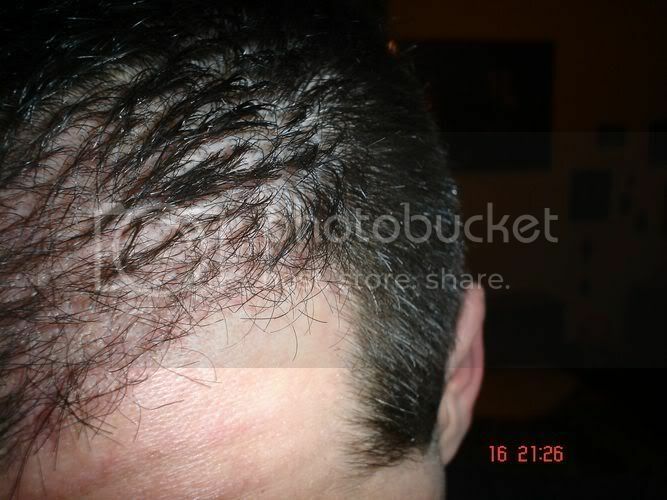 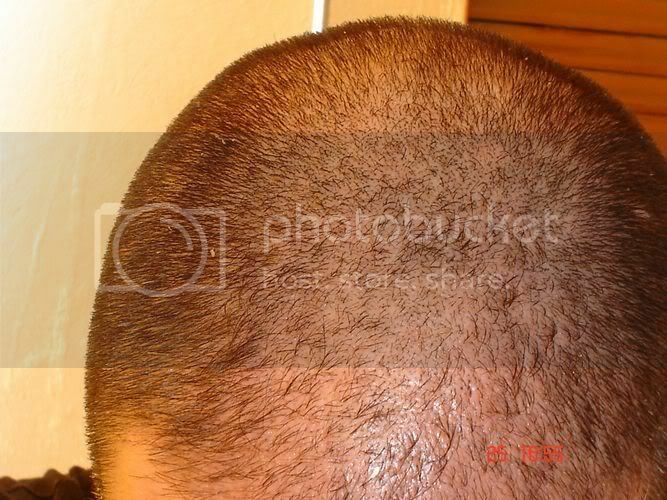 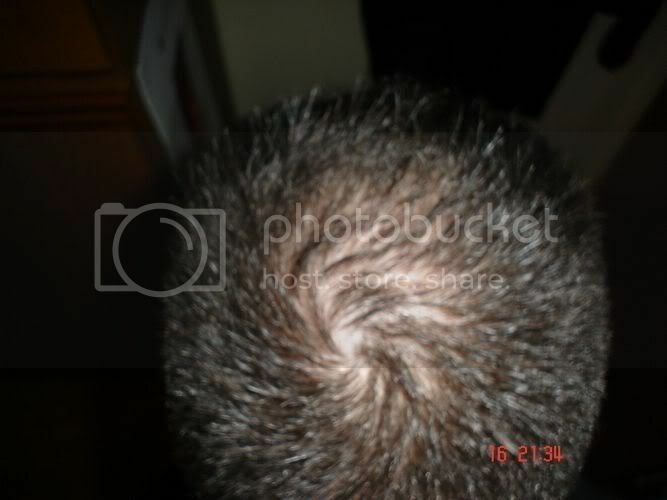 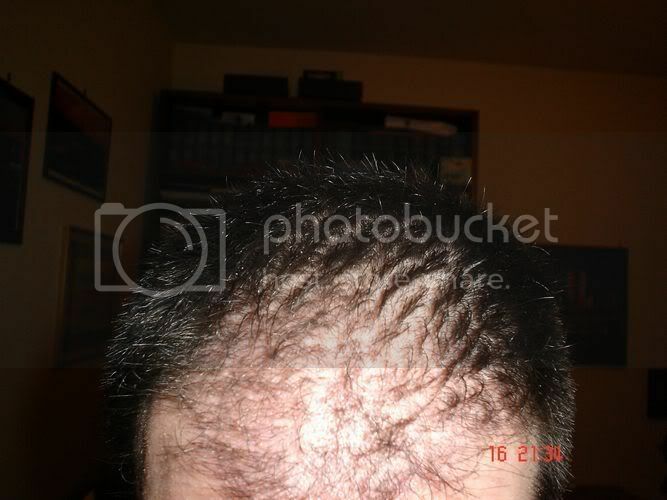 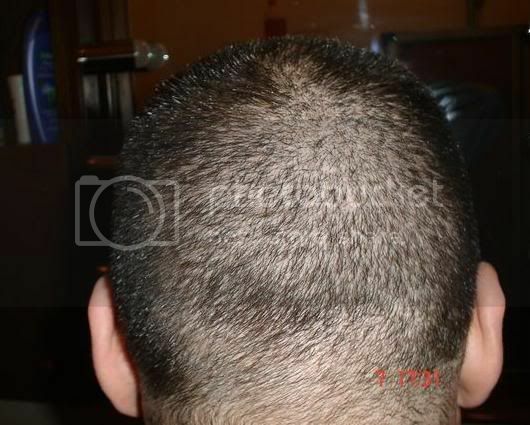 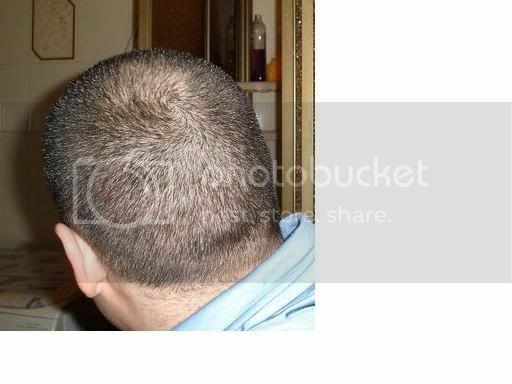 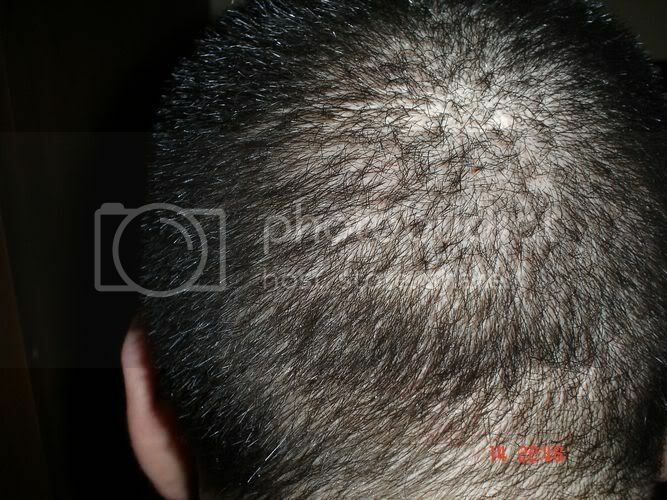 I post some pictures of my hair transplant made by Dr. Bisanga in Bruxelles on January 2007. 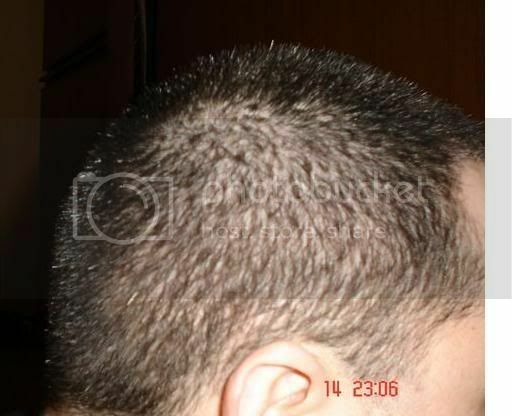 I received 2.230 UF by FUE to increase density in front. 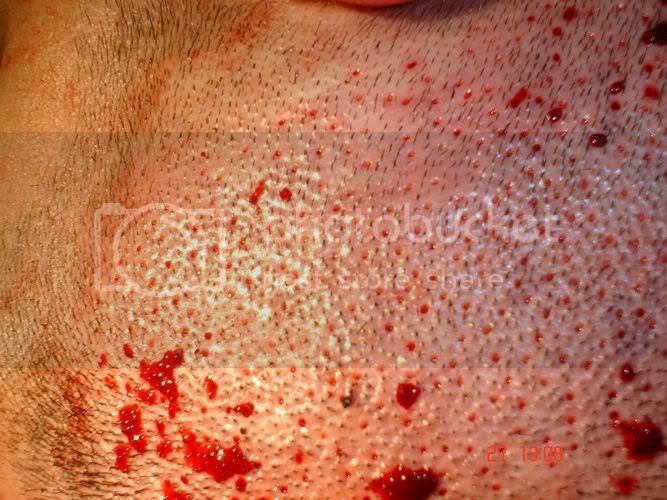 Donor is looking really good now, nothing to see for 12 days, glad you healed well. 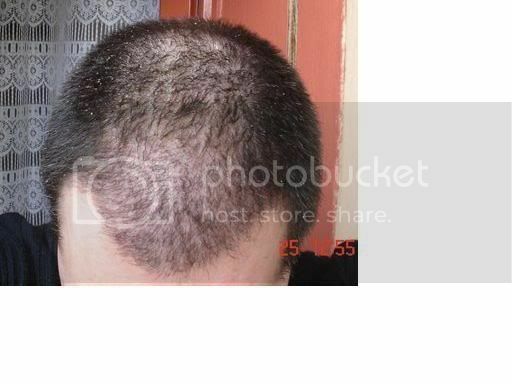 Try using the method I was telling kiffa for recipient healing, it does work well. 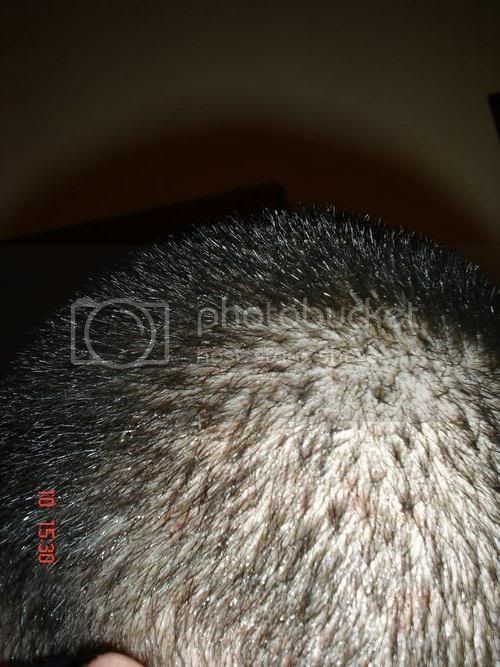 Look at the zone marked: it seems there are few pimples and reddening. 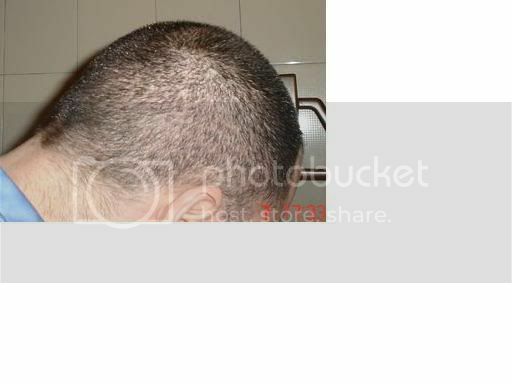 Heh Rico, massive improvement in the recipient, well done.....bad news is some hair fall now......sorry man. 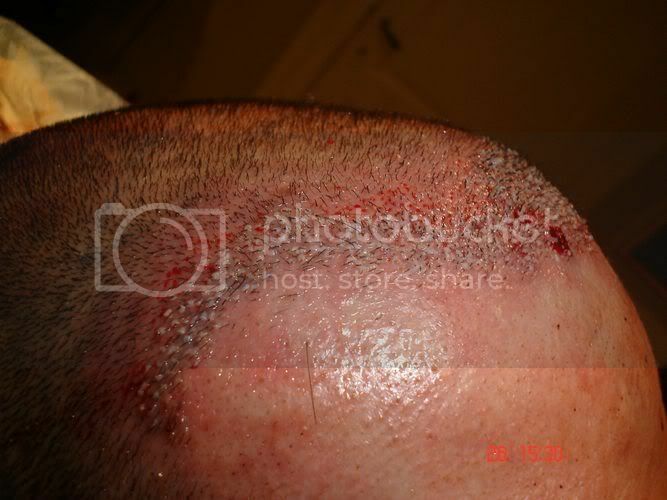 The pimples are normal, just a little subaceous activity, they'll go down and do not cause any harm.....don't worry. 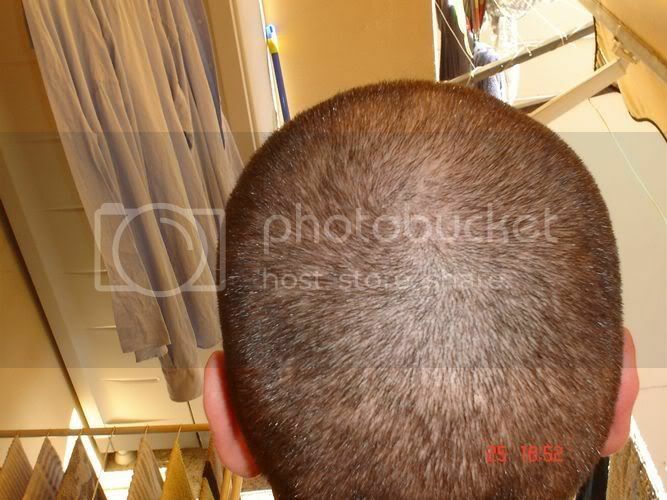 All looks good mate, hang in there and look forward to great growth in the next few months. 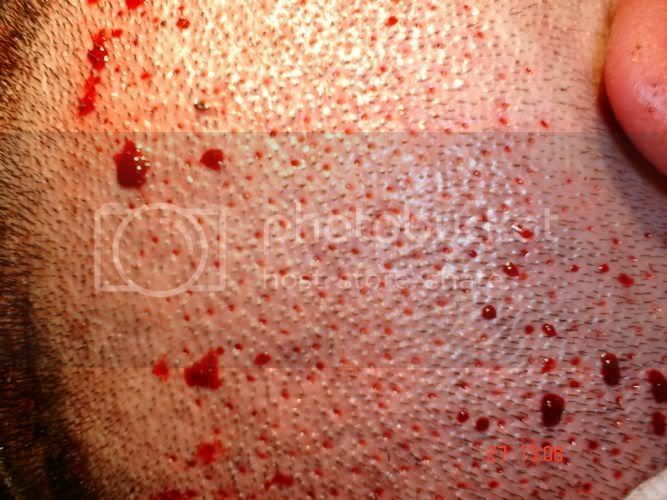 Glad to see all the healing has gone well; from the pictures it looks like the donor area is excellent, I hope you are pleased. 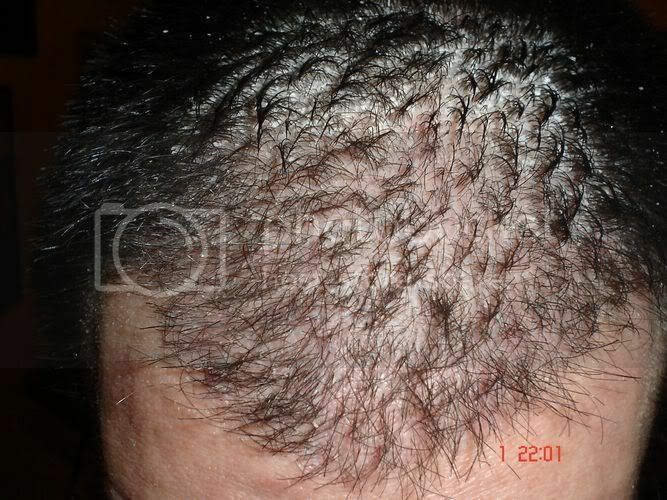 How is the recipient area, have you lost many of the hairs at this stage? 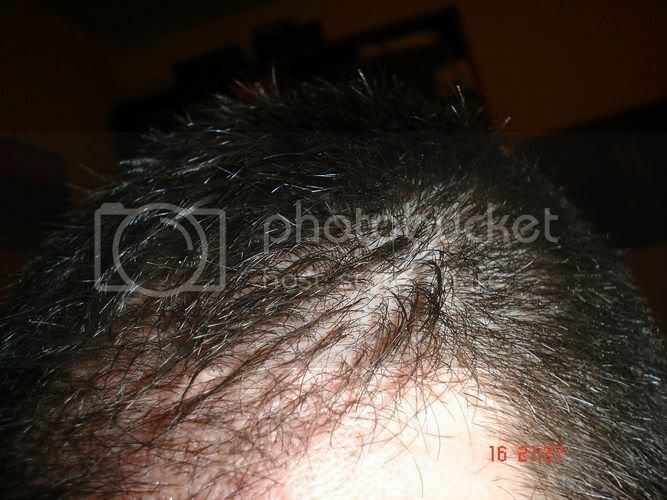 Actually many grafts have fallen. 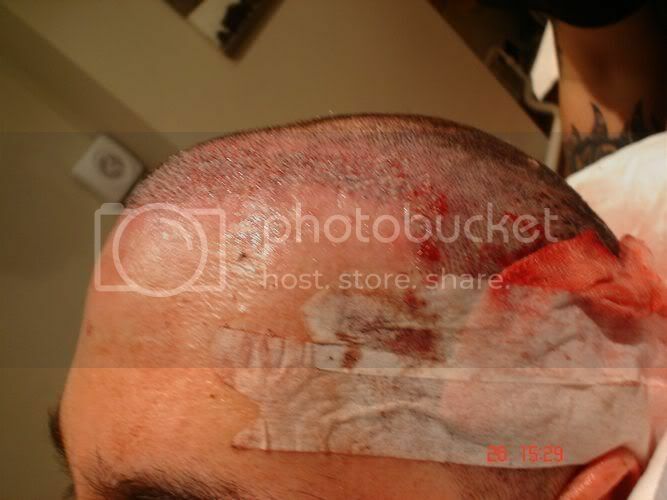 Even if I'm sorry, I knew that he would happen about one month after surgery. 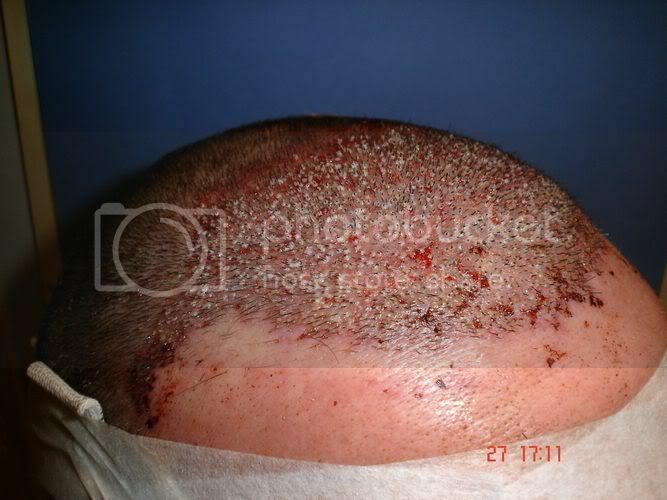 I feel itch on the scalp and I still have desquamation, maybe my skin is being regenerated! 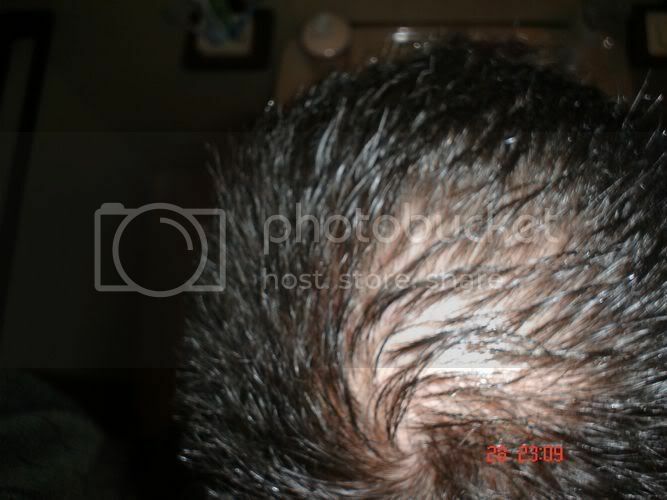 I've started to use Rogaine Foam only on the crown, in a few days I'll start application of Minoxidil 2% on the recipient. 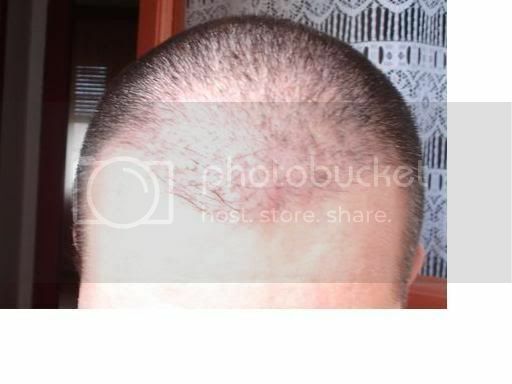 Next update at the end of March, at two months. 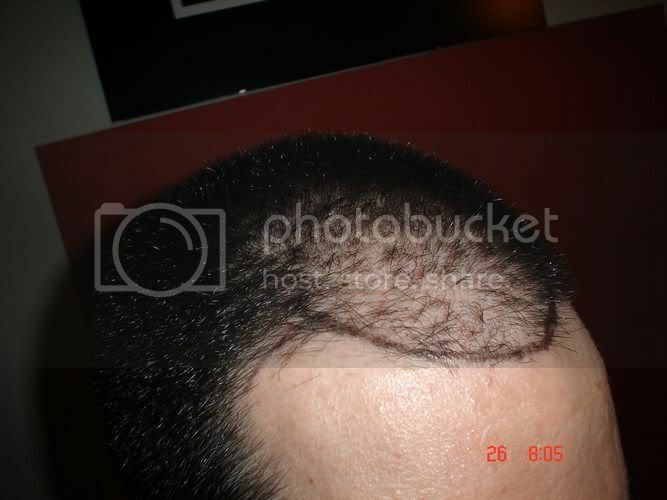 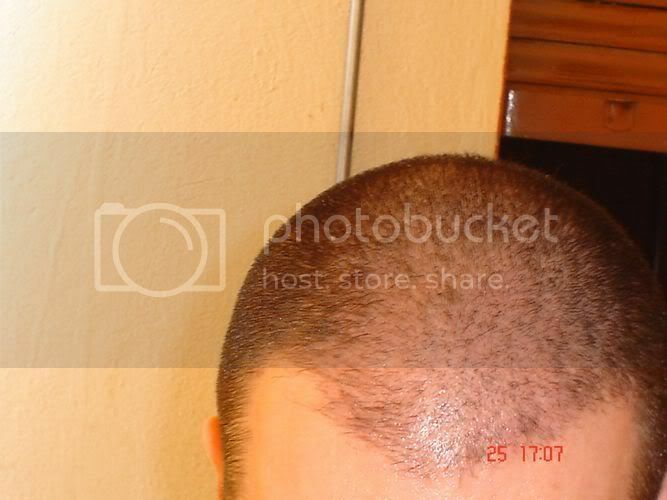 Looks like most of the grafts have shed, scalp looks clean and healthy. 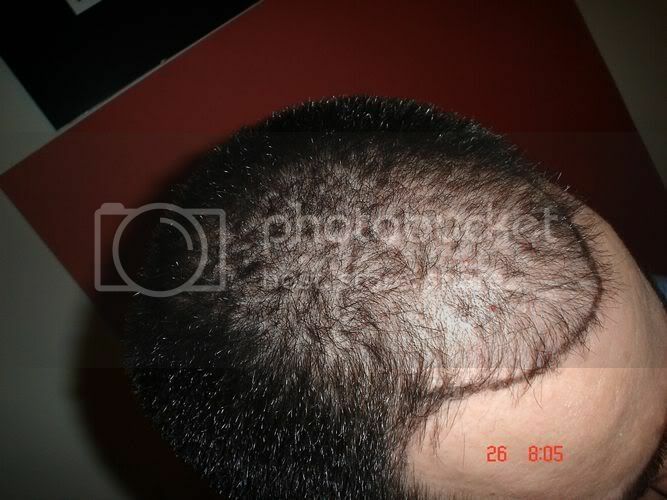 Well, this is where the waiting really starts, a couple of months more and you will start to see the beginning of your new head of hair. 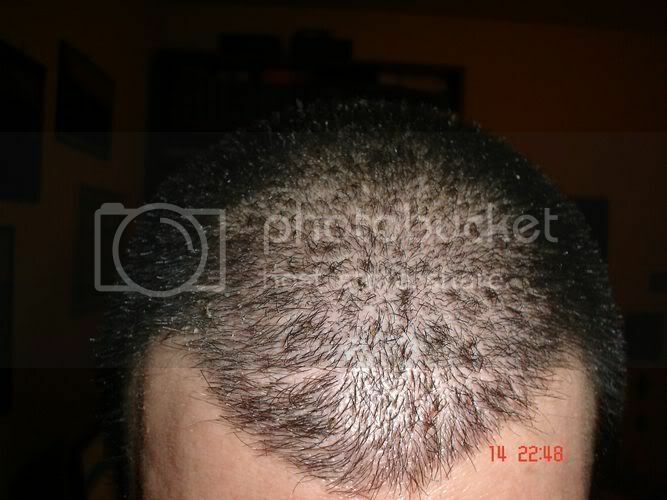 I've cut my hairs on donor (to the sides and on the nape of the neck) this evening, but not on the recipient. 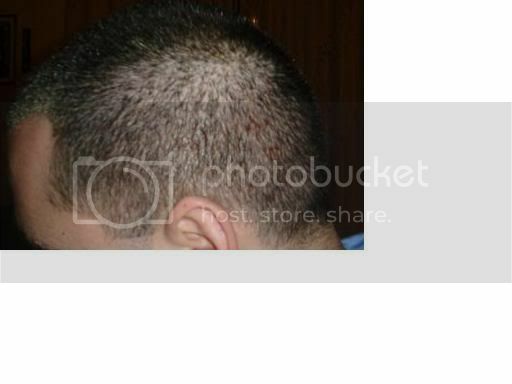 I've two little red cists (or pimples, I don't know) on the left sides and near the right ear. 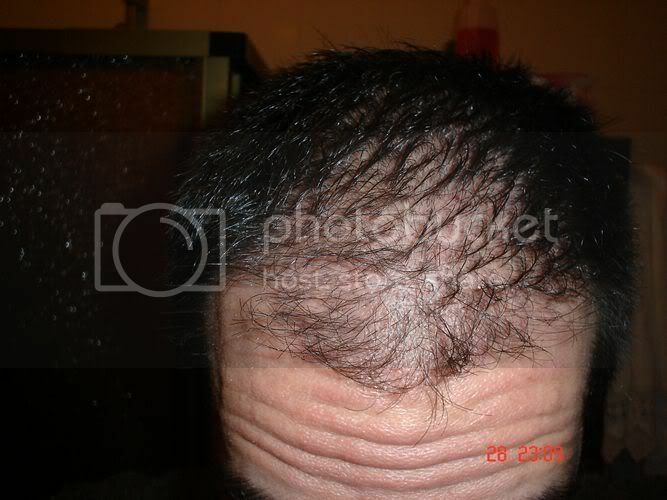 Now I'll wait for the regrowth. 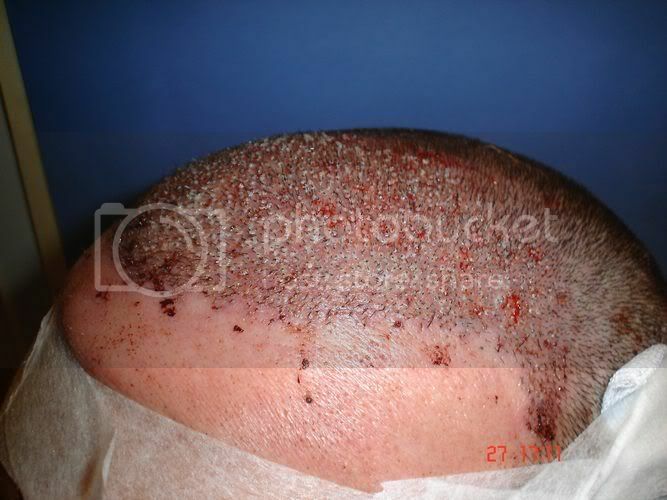 Your donor looks great, no signs of a hair transplant. 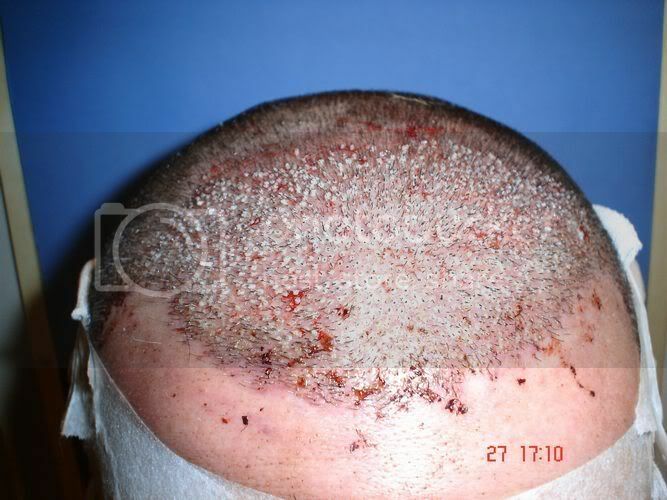 The pimples , like acne, is just the sebacous glands attached to the follicle being a little over active. 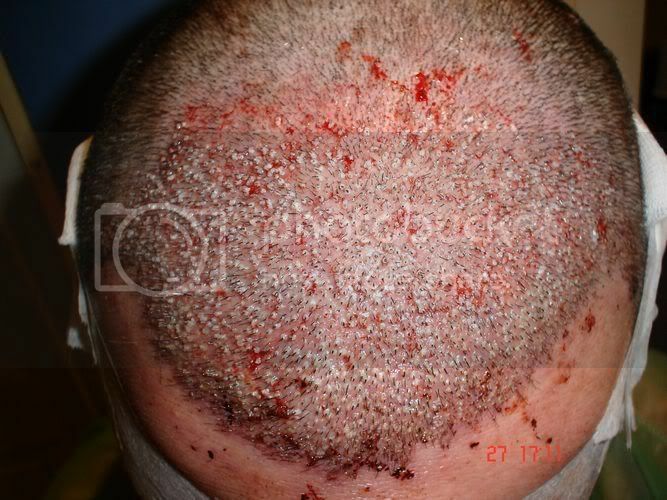 It's quite normal, if you wish you can pop them, no problem. 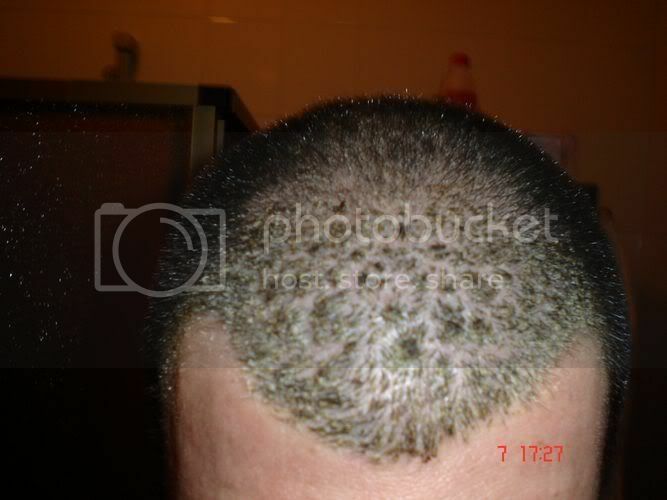 Hope all is well mate, only another one and a half and the growth starts, the hard part is over now. 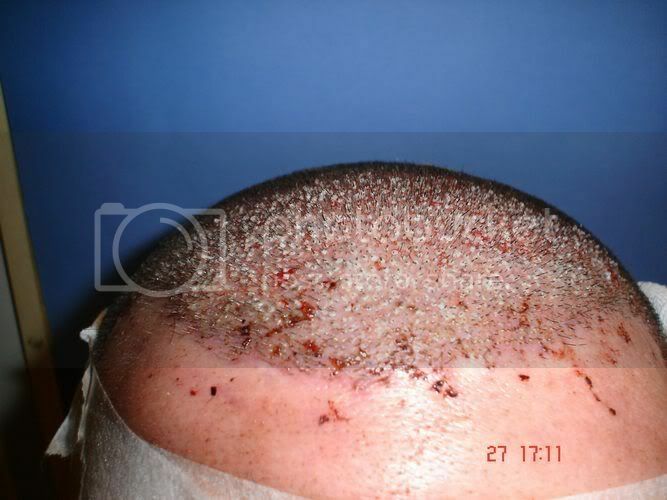 Some hairs in the recipient are already growing, are certainly the transplanted because they are very thick. 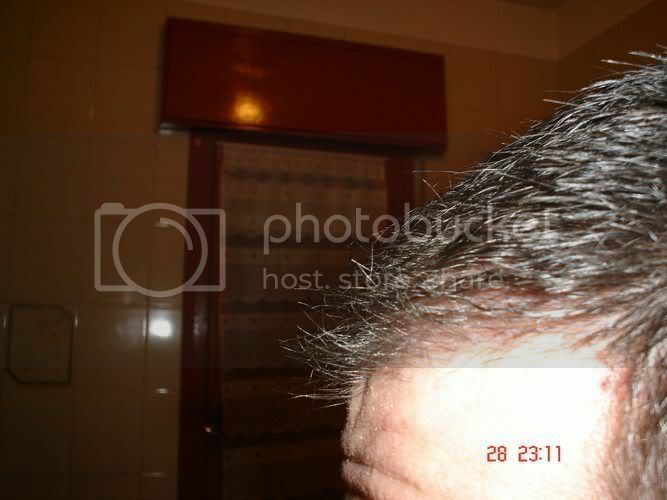 Hairs cut at 3 mm with clipper. 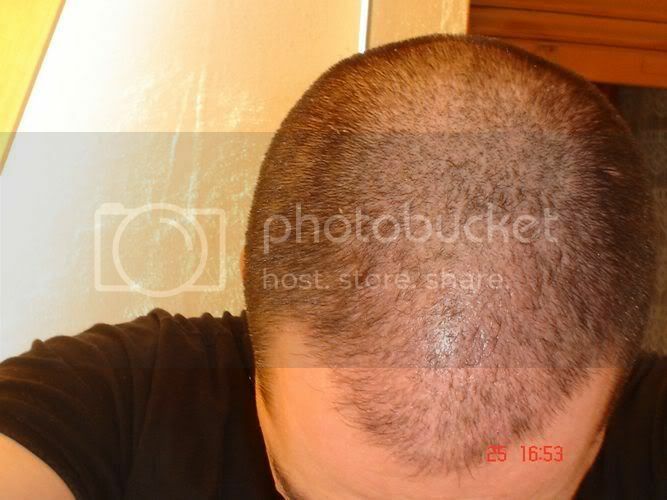 Everything looks to be going well Rico, congratulations mate. 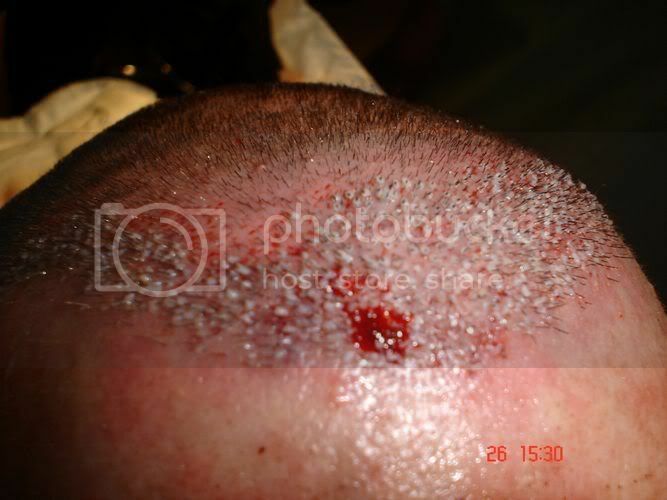 How is the foam working, do you get any iritation on the scalp and is it easy to use. 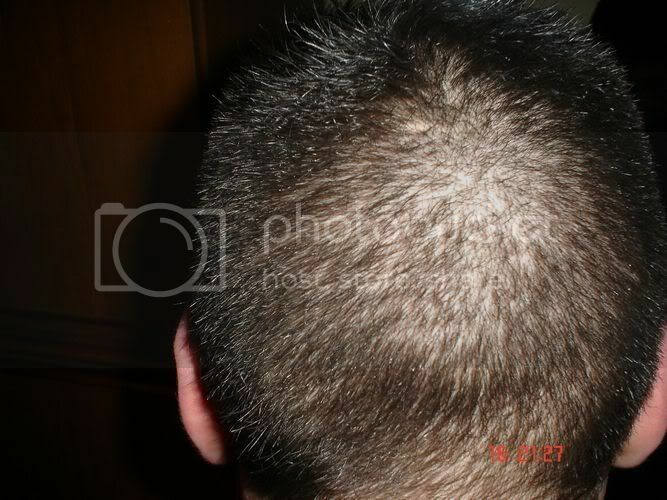 No irritation with Rogaine Foam applied once at the day since march. 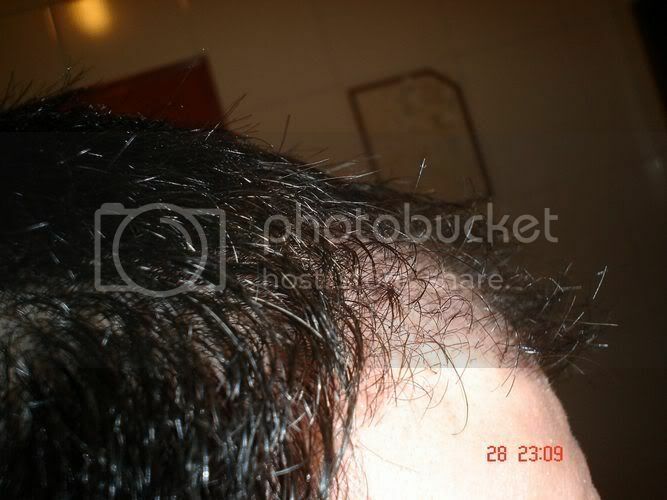 - in the evening Rogaine Foam alterned with Remox I.